What is the CID initiative ? This page contains the legal notices that apply to all Internet users visiting the Site http://cohortinnovationday.com/. By consulting it, users agree to respect them. As these legal notices may be changed at any time and without notice, we recommend that you consult them regularly. This Notice sets out how we collect and process your personal data and also provides certain information that is legally required and lists your rights in relation to your personal data. This Privacy Notice relates to personal information that identifies “you” where you are a customer or potential customer, an individual who browses our website or an individual outside our organisation with whom we interact. If you are a shareholder, an employee, supplier or otherwise engaged in work for us or applying to work for us, a separate privacy notice or data processing agreement applies to you instead. Please read this Privacy Notice to understand how we may use your personal data. This Privacy Notice may vary from time to time so please check it regularly. 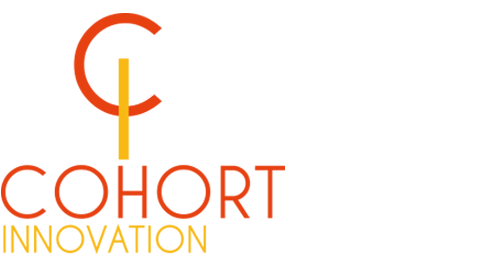 The http://www.cohortinnovationday.com/ website (hereinafter "the Site") belongs to and is run by ARIIS. The presentation of the Site and all its elements, including the trademarks and logos thereon, are protected by the laws on industrial property in force, and are the property of ARIIS, or the use thereof has otherwise been authorised. No material from the Site may be copied, reproduced, changed, re-edited, uploaded, distorted, transmitted or distributed in any way, on any support, wholly or in part, without the prior written authorisation of ARIIS. Only private copying is permitted for users’ personal, private and non-commercial use, on their own personal computer. The following notice must appear on any authorised copy of all or part of the Site’s contents: "© ARIIS". All authorised uses of items in or displayed on the Site must not distort, modify or change said items. ARIIS shall not be held responsible for the contents of any websites linked to its own Site by hypertext links. The use of such sites is the responsibility of the person visiting them. The contents of such sites can be changed without the knowledge of ARIIS. The Site http://cohortinnovationday.com/ is registered with the National Commission on Data Protection (Commission Nationale de l’Informatique et des Libertés), under Law 78-17 of 6 January 1978 on individual data protection. In accordance with the French Data Protection Act of 06 January 1978, users have the right to access, change and delete their personal information. ARIIS will not disclose any personal information users may share with us through e-mail to third parties. Such information will only be used for the purpose replying as efficiently as possible. All information gathered through this Site is for the exclusive use of ARIIS for site operation purposes and will under no circumstance be shared with third parties. ARIIS, Aviesan and/or its suppliers may, at any time, change or suspend, temporarily of permanently, all or partial access to the Site for maintenance purposes and/or making any improvements and/or alterations therein. This Site is funded by ARIIS, Aviesan an association dedicated to raising awareness to the issues of research in health and to promoting its activity and development in France. The association is wholly funded by its members’ contributions, the list of which is available on this Site. The ARIIS Site generates no revenue from publicity and has no advertising. 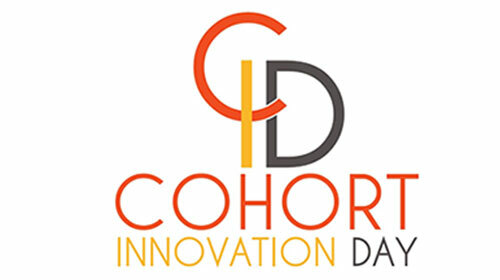 The COHORT INNOVATION DAY Site (http://cohortinnovationday.com/) is a site for professionals involved in biomedical research. Any medical information made available is not meant to replace the advice of a health professional. Personal data is any data which enables us to identify you, either directly or indirectly, such as your name, address, telephone number, email address or the ip address of your computer. details of your visits to our website including but not limited to traffic data, location data, weblogs and other communication data. personal data you provide if you complete customer care surveys from us. - details of your visits to our websites including but not limited to traffic data, location data, weblogs and other communication data. - We may also create personal data about you if you, for example, contact us by telephone to make a complaint about our services, then we may make a written record of key details of the conversation so that we can take steps to address the complaint. This may include obtaining data concerning health. Refusal to install a cookie may result in the inability to access certain services. However, the user can configure his computer to refuse the installation of cookies. This page was last updated on 28 June 2018. What is it the Cohort Innovation Day?